Wimal Pathmasiri, PhD joined the University of North Carolina at Chapel Hill Nutrition Research Institute in March 2017 as a Research Assistant Professor. 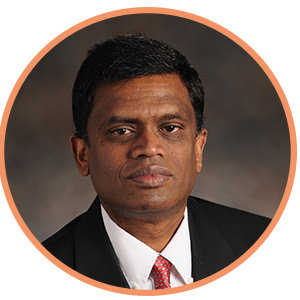 Dr. Pathmasiri is interested in identifying biomarkers for the early detection of disease, and monitoring nutritional intervention. His efforts at UNC NRI will focus on understanding the impact of diet and naturally occurring molecules in diet on gut microbiome related metabolism. Dr. Pathmasiri earned his BSc and MPhil from the University of Colombo, Sri Lanka, and a Licentiate of Philosophy from the Uppsala University, Sweden. He received his PhD in Chemistry from Uppsala University and conducted postdoctoral research at the UNC Chapel Hill, and at RTI International. Dr. Pathmasiri is an active member of the NIH Common Fund Eastern Regional Comprehensive Metabolomics Resource Core (ERCMRC), where he has served as a research biochemist for the past 5 years. As a metabolomics scientist, he has contributed to research in the areas of cancer, childhood obesity, early life exposure to antibiotics, environmental exposure, kidney disease, osteoarthritis, rare diseases, and toxicology.